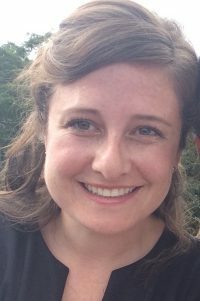 Kathryn Elvey joined PSU’s Criminal Justice Department in the Fall 0f 2016 an Assistant Professor of Criminal Justice. She received her BA in Political Science and Religion at University of Mary Washington and her MA in religion from Wake Forest University. She then went on to receive her PhD in Criminal Justice from University of Cincinnati. Her research interests include drug-related crime, theory of crime, and violent crime and victimization, especially among college students. Solimine, Michael & Kathryn Elvey (2015). Federalism, Federal Courts, and Victims’ Rights. Catholic University Law Review 64, 4. Elvey, Kathryn & Jeffery Clutter (2014). Costs of crime: Issues in measurement. In Jay Albanese (Ed. ), Encyclopedia of Criminology and Criminal Justice. NY: Wiley- Blackwell. Elvey, Kathryn (2015, November). Victimization of students as a threat to universities: A look at tort liability for universities in stalking cases. Presented at the American Society of Criminology Meeting, Washington DC.